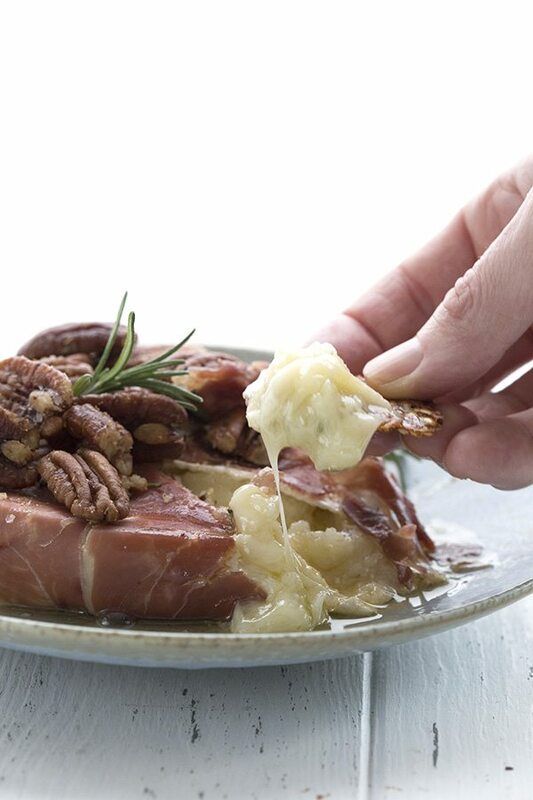 A delicious keto appetizer recipe, this prosciutto-wrapped brie will be the hit of your holiday buffet! This post is sponsored by Rockridge Press. Oh kids, you are going to love me! 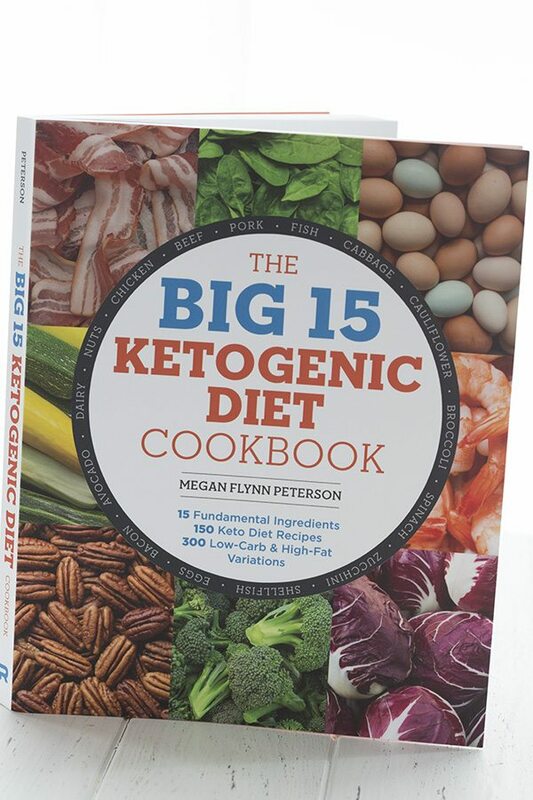 Not only am I bringing you a delicious keto holiday appetizer, but I am also giving away 3 copies of The Big 15 Ketogenic Diet Cookbook. Because everyone, myself included, can use more low carb, high fat recipes and this book is chockfull of them. 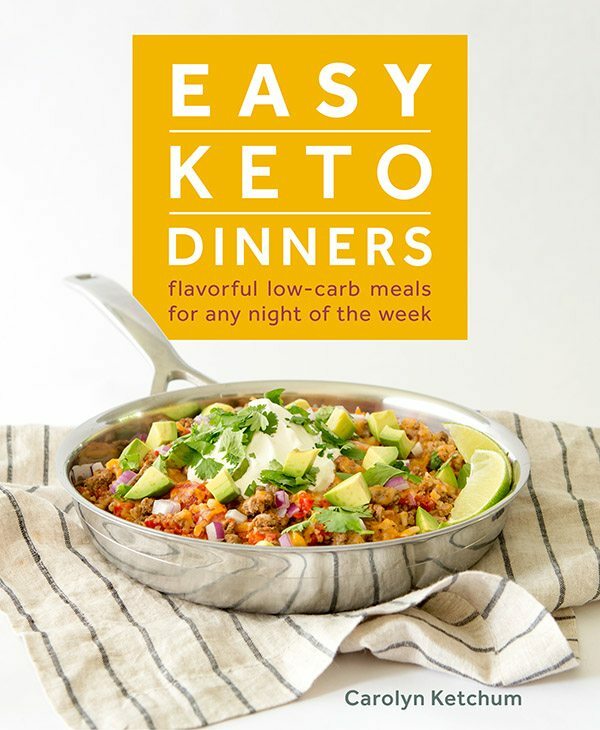 It’s a great book for people just starting out on the keto lifestyle who want basic recipes that don’t require much fuss or any special ingredients. And I know that with the New Year quickly approaching, many people are eyeing keto as a means to get healthy and stay healthy. A cookbook that breaks it down for you into 15 major ingredients can only help but simplify the getting-started process. The easier it is, the more likely you are to stick with it! “At any given time, the keto dieter’s refrigerator is likely to feature a small range of fresh vegetables and animal proteins. From cauliflower and cabbage to bacon and beef, this book starts with the essential low-carb basics and adds fat and protein in proper proportions from there”. The book contains 150 recipes but it also has some fun variations for each recipe, so the total number of recipe ideas totals 300. 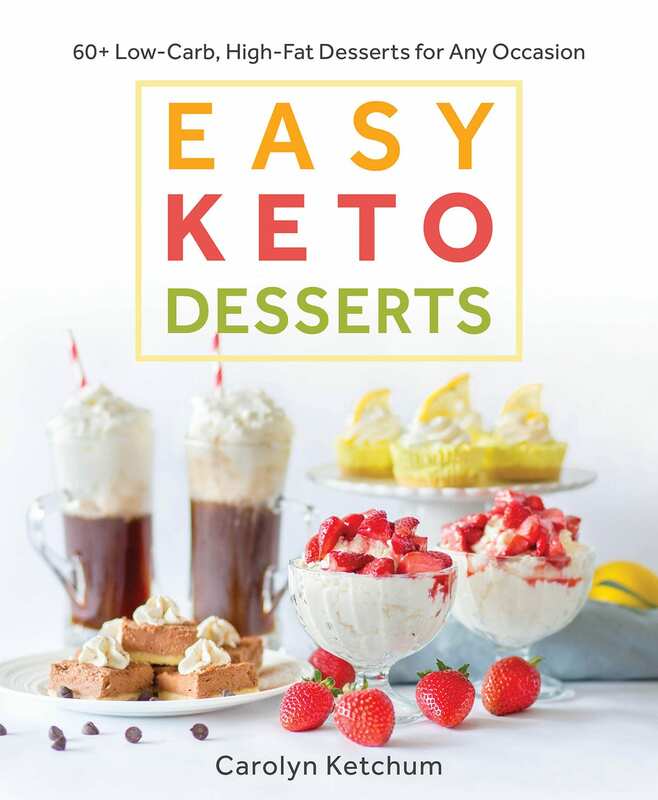 So much to choose from that the keto beginner is not going to suffer diet ennui any time soon. 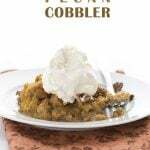 When I flipped through the book, I landed almost instantly on the recipe I wanted to try. 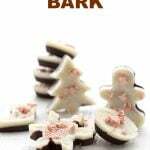 It’s holiday season and I’ve been working hard cranking out the low carb holiday cookies so I was in the mood for something a little more savory. I love baked brie (I love anything with brie!) and the idea of wrapping it in prosciutto really appealed to me. This is actually one of the variations on the recipes and so I got a little inspired to marry the two together by wrapping the brie as well as topping it with the rosemary almonds. Oh my word, this is melty gooey cheesiness at its finest. It’s my dream appetizer recipe and if I saw this on your holiday buffet table, I would essentially stand there in front of it until I’d finished the whole thing. You wouldn’t be able to shift me out of the way and all your other guests would be mad that they didn’t get a crack at it. And I wouldn’t care, I’d be too happy hogging it all to myself. And what would I be eating it on? Well, I actually used the pecans to scoop some of the delicious melted cheese up. But you could try the Almond Sesame crackers from this same book. Or if you happen to have my book, you can try the Basic Almond Flour Crackers. Or try these Keto Rosemary Parmesan Crackers. 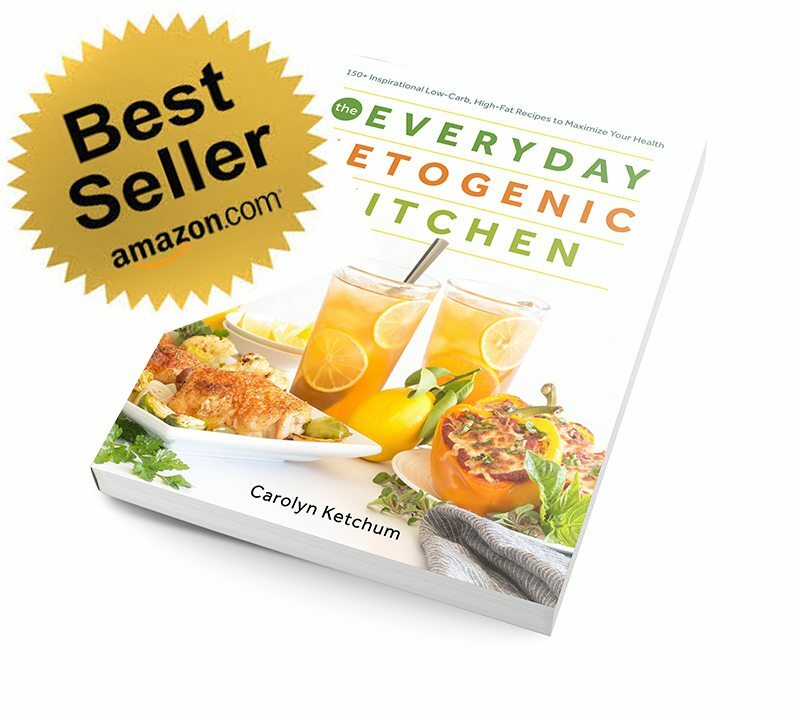 Want to enter to win your own copy of The Big 15 Ketogenic Diet Cookbook? Of course you do! Leave a comment with your favourite low carb ingredient to use in cooking. Bacon? Beef? Chicken thighs? Heavy cream? All of the above? This sweepstakes is open only to US Residents 18 years of age or older. 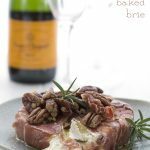 A delicious keto appetizer recipe, this prosciutto-wrapped brie will be the hit of your holiday buffet! Preheat the oven to 400F and line a rimmed baking sheet with parchment. 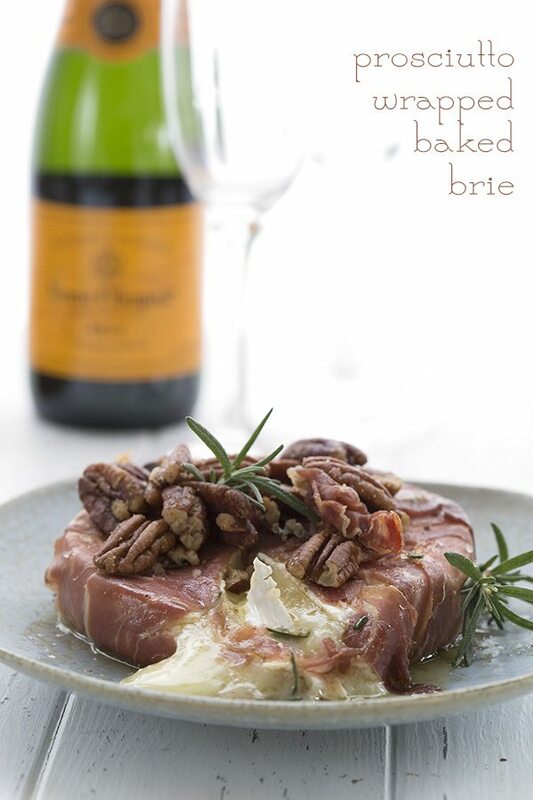 Wrap the brie in the prosciutto and brush with the oil. 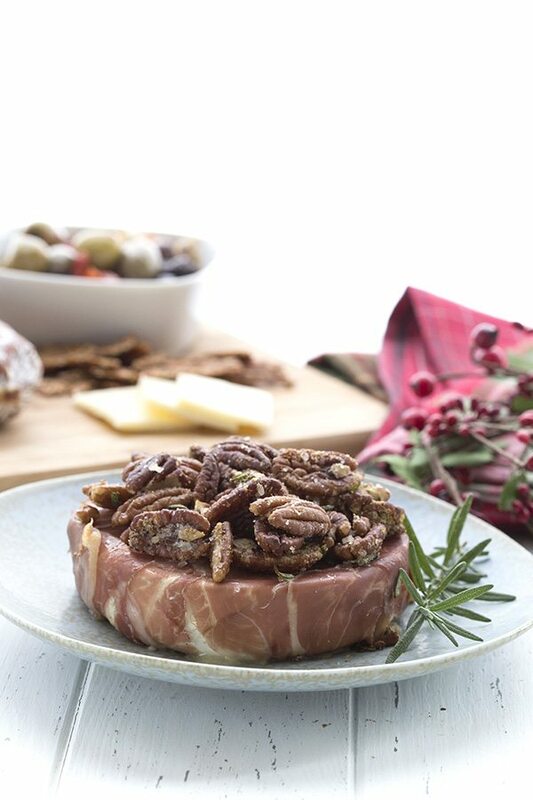 Toss the pecans in a bowl with the garlic, rosemary, butter, and salt and pepper. Place the pecans on the Brie and bake 10 to 15 minutes (I found I had to bake mine longer to get it melty...could be the brand of cheese). 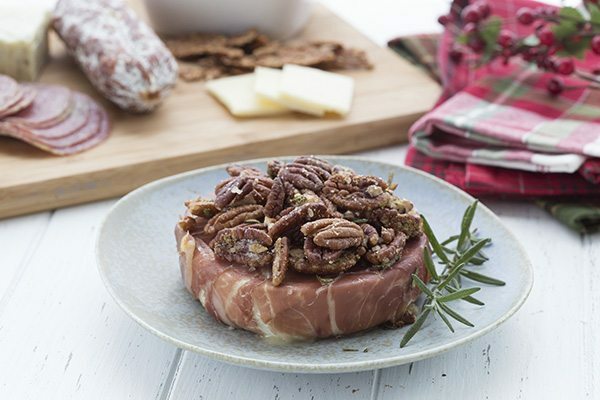 If you have too many pecans to top the Brie, simply place them around on the baking sheet to toast. But watch them carefully as they will cook faster than the brie. Simply remove when they are nicely toasted. My favorite is heavy whippibg cream. I use it in almost every meal! This looks delicious, btw. Big prociutto fans in this Italian family. Meat and cheese are my favorite ingredients. This recipe is literally the best thing that’s ever happened to me. Butter, butter and more butter! Favorite low carb ingredient? Butter! My favorite keto ingredients are heavy cream, cream cheese, and chicken thighs! Actually I pretty much love all the keto ingredients! Don’t make me pick just one ingredient! Haha! I would say that with good quality butter, heavy cream, and cream cheese you can do almost anything. I love using red radishes, chicken, and heavy cream! Bacon! Can never get enough bacon! My favorite low carb ingredient is…well, that is a tough question. I love cheeses and salamis, bacon, butter and almond flour. There are so many amazing low carb options these days that I cannot pick just one! I cook many things with bacon, bacon grease or lard. It is my go to flavoring! Coconut oil is my favorite ingredient for keto cooking. I mostly use refined oil, but sometimes I just gotta have that coconut taste, too. Mostly directly off a spoon. ? I guess that’s not really “cooking,” but it’s oh so yummy. 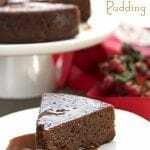 I love to use heavy cream, I can incorporate it into so many different recipes! I’d have to say butter would be my favorite! 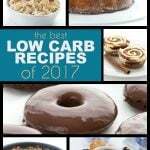 I am just starting the low carb/keto lifestyle after being diagnosed with Diabetes, so this cookbook would be so helpful!! I’d have to say cheese is one of my favorites, as well as butter. Bacon is great added to almost anything. It gives great flavor. I do also love to use heavy cream and butter lol. I really don’t like to pick favorites but ok I will….. BUTTER. A day without butter is like a day without sunshine. It’s so hard to pick a favorite, there are many. I guess at the top of my list would be eggs, bacon, heavy cream and cheese. Love your recipes, you make this whole way of life so much easier! Swerve is my favorite low carb ingredient. It has truly changed our lives and allowed so many things. But I guess I would have to also say alternative flowers like almond coconut and way! Thanks Carolyn for all you do!!! Swerve is my favorite low carb ingredient. It has truly changed our lives and allowed so many things. But I guess I would have to also say alternative flours like almond coconut and way! Thanks Carolyn for all you do!!! I’ve just started keto recipes so I️ don’t have a favorite ingredient yet but I️ do love the bagels made of cream cheese, mozerella, butter and almond flour, they are so delicious, especially warm right out of the oven! Where can I find this recipe for the bagels? Thanks. Favorite low carb ingredient: butter. Butter butter butter BUTTER! Bacon and cream cheese are my favorite keto cooking items! This is a tough one. I’m going to say butter but in truth I have a lot of favorite keto ingredients. Fairly new to being low carb, I would say almond flour is my favorite ingredient. It adds a great texture. Love substituting cauliflower for crusts! I love my heavy cream sauces, but I’m more glad to have an “excuse” to top everything with more avocado! My favorite low-carb ingredient is cream cheese, because it is so versatile and can be savory or sweet. Favorite low carb ingredient? Can I be as general as to just say “fat”? In all it’s delicious forms. Pork fat rules, but heavy cream, and really good olive oil also make regular appearances in my food. I remember when my household first went LCHF (about 18 months ago), rather than feeling deprived at mealtime, we felt almost giddy that we could eat all these delicious fats and know they are actually healthy rather than bad for us as we’d been told for so long. 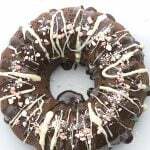 Carolyn, your recipes have been feeding us since the beginning of our keto life. Thank you for creating them and sharing them with us. My favorite low carb ingredient? Eggs.. Not because I love them so much, but brcausevthey’re so versatile, and really arevkeyvto my keto success! I would say my fav low carb ingredient is butter. When I was little I had a friend that would eat a stick of butter when ever her mom wasn’t looking. I guess she was ahead of her time. Me, I am just a late bloomer! My favorite ingredient would be bacon! Hard to decide but in our house it’s a toss up between bacon or cream. Heavy whipping cream, butter, eggs, and cream cheese are probably my most used ingredients! My favorite ingredient has to be bacon. Bacon makes everything taste great! Seriously a fan of anything cream cheese! Almond flour. I use it almost everyday! So many but FAT is my favorite! Years of depriving myself of delicious fat and no results. A few short months of fat and the ponds are melting off like the butta on my steak 🙂 Thanks for the delicious post, this will be perfect for a get together we are hosting next weekend. Cheers! My favorite low carb ingredient is bacon or prosciutto. It’s too hard to choose between the two. I loooooooooove bacon. Used as bacon bites, bacon wrapped, it goes with pretty much anything. Mmmmmmmmm! My favs are bacon and cheese!! Heavy cream makes my dishes so satisfying. EVERYTHING is better with buttah!…and bacon, and cofffeeeeeee! Heavy Whipping Cream, Butter, Cream Cheese, Beef, Bacon……. I think my favorites are butter, eggs, cream, bacon and cheese. I can make just about any dish with one or another of these. I just found this website. What is the difference between Swerve and Splenda? Go check out their ingredients. Very different. Yes, I see the ingredients are very different. Is one better than the other? Depends on taste and your comfort level with a chemically-derived substance like Splenda. I am much happier with a naturally derived sweetener like Swerve and I also find it bakes better. Thanks for explaining the difference. I’m new to this website and trying to start my keto diet. Need to buy me some Swerve. Really could use the Keto cookbook. Thanks! Its a toss-up between bacon and heavy whipping cream! Love them both! Favorite low carb ingredient- heavy cream! It makes everything better! Cheese! I laugh and tell everyone that I could a slab of concrete if it has cheese melted on it! My favorite LC/Keto ingredients for cooking/baking is Kerrygold butter and heavy cream from a local dairy! There are many more, but those are never missing from our fridge. My 12 yo son has been asking me to buy brie and I showed him this recipe. He is already drooling ?. Haha! Cream cheese and heavy cream. My heart belongs to cheese. Not just any specific kind, ALL THE CHEESE! Bacon is a close second. Oooohhh cream cheese! Heavy cream!! Two of my favorites! Crushed pecans make fantastic “breading.” They’re my favorite ingredient these days. 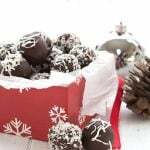 My favorite has to be almond flour! 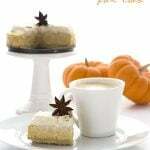 All the fabulous desserts help to make us feel as though we’re not deprived. I love bacon so I would say that’s my favorite low-carb food! I’m new to keto cooking but I love bacon & butter & have enjoyed learning about all of the flour alternatives. My favorite low carb item(s) is cream cheese and Parmesan cheese. Lots of recipes are done with these. Love anything with bacon or avocado. ? My favorite keto ingredient is cheese. Cheese as snack, cheese as taco shell, cheese as topping, cheese blended in a cake … yeah, I have to go with cheese. And what a great idea for a cookbook. Sometimes I want to just cook dinner, without having to run to the store to do so. Thanks for the chance to win it. I love using heavy whipping cream. When I was younger I always thought that heavy whipping cream was bad for me, then I started keto and read so much about it that I discovered that heavy whipping cream (not the spray but the fluid) actually has absolutely no carbs at all, so I was in heaven. It took me a minute to get used to drinking my coffee with it but I was very fast a fan of it. I tend to use it also when I make different meats and veggies in my skillet. It just gives it this creamier taste. That along with bacon, all kinds of cheeses and most green veggies are my favorites. I like boneless chicken thighs, so versitile! Oh this is so much better than Brie in a puff pastry! Thank you! Heavy cream, butter, or just about any cheese…I sense a theme here. Great recipe! Can’t wait to make it. But as usual with all such low-carb melty/dippy things, what do you eat it ON? At my house I do not run out of butter. I buy several packages at Costco and keep them in the freezer. It has been my habit since way before changing to a low carb lifestyle. I love it all. No exceptions. I would love your book. Although there are SO many, my favorite has got to be cheese! All kinds. Cheese makes everything better!! ? My favorite low-carb ingredient? You would have to ask for just one. I always have trouble winnowing lists of favorites down to just one. But I think it has to be eggs because they’re so versatile. My favorite low carb ingredient has been cheese all my life ….until 2 years ago when I found out that I now have to be diary free! What a change in my life. So now I am onto eggs and bacon. My favorite ingredients are bacon and butter. Everything is better with these! So difficult to pick just one! I have been enjoying experimenting with incorporating pork belly into recipes lately….and some roasted brussels sprouts. ..love!!! My favorite low carb ingredients…got to be eggs. They can be a simple breakfast or elevated to a souffle! If I could only choose one… soft Cheeses, they are my weakness. The B words: Butter and Bacon. And then there’s liquid egg whites, and organic ground turkey (never ate it before this WOE), and erythritol, of course! Probably heavy whipping cream, closely followed by butter and lard! Eggs! I’ve loved them since I can remember. Love both beef and cream, so I love a good hamburger finished with a sun dried tomato cream sauce, especially this time of year? My current favorite low carb ingredients are eggs and cauliflower. They both can be prepared in so many different ways and incorporated into so many meals. I can prepare eggs in a different way every day for breakfast, so I never get tired of them. I also recently have been using cauliflower as a replacement for rice and pasta. So many uses! Heavy cream! So versatile from breakfast coffee to whipped cream on dessert! It’s hard to choose a favorite ingredient. Probably butter. And bacon. And heavy cream. And pecans. And…and… ? My favorite ingredient is wonderfulky cauliflower. I can do so many wondergul things with it. Bacon is so versatile and kicks a dish up a notch! My favorite low carb ingredients: rib eye, all the cheese, and good ole butter baby! 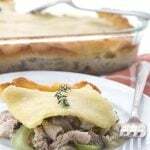 My favorite is homemade mayo mixed with stock to make a creamy casserole. My favorite keto ingredient has got to be bacon. Everything is better with bacon. Can’t pick just one. Butter, heavy whipping cream, cream cheese, cheese, bacon, chicken, in no particular order. It varies by day. My favorite low carb ingredient? Well, I definitely don’t have just one! ? I would have to go with bacon, mozzarella cheese…or ANY kind of cheese really…and beef. Oh…and butter, almond flour and eggs! ? hmmm, heavy cream is so versatile and yummy! And there is no such thing as “too many pecans” lol! Cream cheese,butter and heavy whipping cream all ingredients that I will never be without. Does butter, bacon, eggs, and cheese all count as one food? I have way too many favorite foods to choose from. Because that’s what it is, right ? All we do is for our health. Because without it, we can’t be there with the people we love. Bacon, butter, and almond flour. My favorite low carb ingredient is hard to pin down … I love cream cheese, though! Cream cheese, butter and mozzarella cheese pop up a lot in my kitchen! 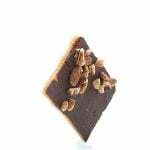 We are just starting on this journey and seem to be always searching for ways to convert old recipes to fit the new pantry. Eggs seem to be a basic. Would love to have this book to help us in the kitchen. tough choice cream cheese or bacon…or both! My favorite low carb ingredient? You named it – bacon baby!! And after bacon – cheese! Thank you so much for all you do! Bacon and butter makes everything good!! Chicken thighs – boneless – I have a bag of cooked chicken in my fridge at all times [not an easy feat with teens – but I just keep cranking them out] – so I can always throw something together! I’m all about heavy cream! Love it! Bacon & heavy whipping cream are my favs. I need to find a recipe that uses both! I’d have to say nuts. Because you can enjoy them Savory or sweet! My next favorite would probably have to be cheese. Cream cheese and mozzarella for fathead doughs! Mine is probably eggs, fried, scrambled, hard boiled, made into deviled eggs, or just with salt and pepper, raw, mixed into meatballs or a meatloaf, my favorite is probably soft scrambled. Yummy. Thank you Carolyn for all of your hard work. Bacon makes me happy, but butter is so easy to add to everything! 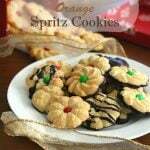 You have solved my holiday appetizer problem with this recipe! I have three favorite ingredients: cream cheese, bacon and cabbage. I can’t wait to try this. I am a beginner at the keto diet, so I guess right now my favorite item is cheese. I need to learn how to make more stuff. Oh, and I LOVE cauliflower mashed up like potatoes! It is a toss up between almond flour and bacon! 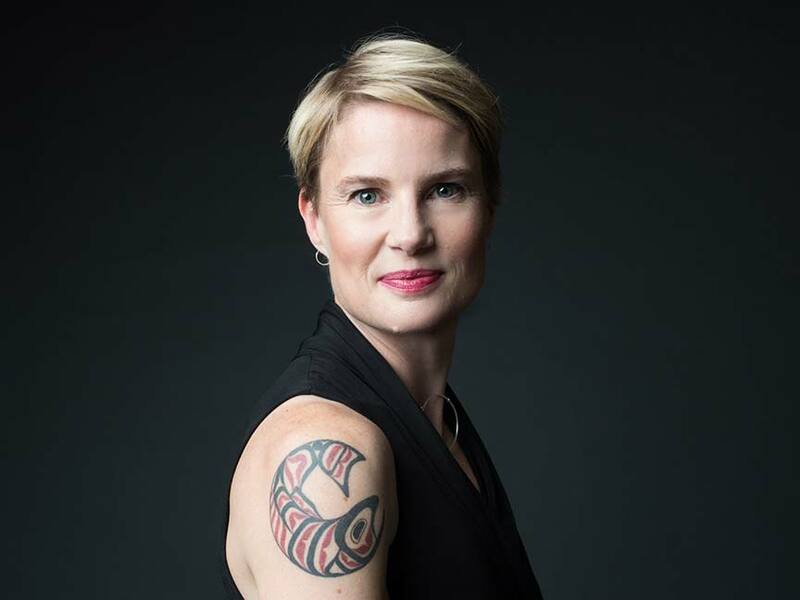 Thank you so much, Carolyn, for all your marvelous hard work. 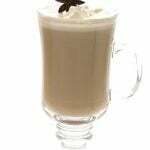 I love heavy cream many different ways! This has become a new family favorite! Favorite!? Well I have a few bacon, beef, cream cheese, cheese of different kinds. Bacon! I’m a Southern gal!